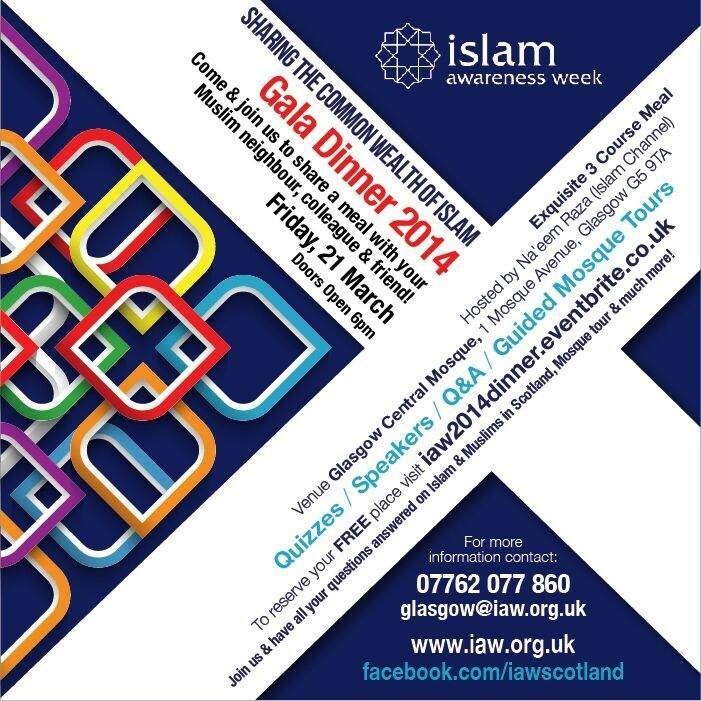 Islam Awareness Week turns 21! With the theme ‘Charity Begins at Home’, Islam Awareness Week is now in its 21st amazing year. Hifsa Iqbal from Stafford is this year’s co-ordinator. Running from the 17th to 23rd March, this year’s IAW has got volunteers up and down the country buzzing with ideas and activities in their local areas.Hifsa said: “The theme is a really good one and links in with so much brilliant work that Muslims are now engaging with all over the UK which we want to showcase. Charity is so much more than just giving money and this theme will highlight that, reminding Muslims that it’s important to give time and energy to people around us in need, not always just money.”There will be a launch event in London, this year being held at a new arts and community centre on Finchley Road, called JW3. That event will highlight excellent examples of Muslim led faith in action and they will be showcased in a new brochure and website being set up based on the theme. Bradford volunteers will be feeding the homeless and collecting for the local food bank. They will also be visiting an elderly care home to deliver flowers and chocolates and sit for a chat and cup of tea. Slough members are organising a ladies networking lunch to introduce the work of the local branch of Women’s Aid and pledges will be made of commitment to working with their refuge and other services in the coming 12 months. Linked to the International Womens’ Day theme of ‘Inspiring Change’ the event will see speakers share their stories of inspiration. Sheffield and Halifax have mobilised groups of volunteers to collect food and toiletries for the local food banks and homeless charities. Feltham Scouts group, West London have organised a half day event including refreshments and activities. Other local youth and scout groups have been invited to participate. Scotland have an amazing programme of events taking place during the week – many using the theme of the Commonwealth games. These include the launch event at the Emirates Stadium “Celebrating the Common Wealth of Islam”, a mother and toddler day at Edinburgh Mosque, Feed Glasgow’s Foods from the Commonwealth, a mega interfaith quiz and a Gala Dinner. 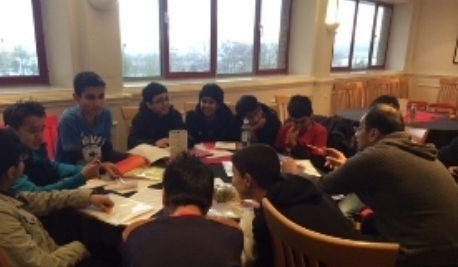 ISB Vice President, Rabiha Hannan co-ordinated the team that helped make the event such a success: “The idea of the programme was to teach our young members how to deliver a positive message about Islam”. An onsite delicious lunch and dinner were served and enjoyed by the youth followed by an hour of sports. The Islam Awareness Week theme of ‘Charity Begins At Home’ was cleverly weaved in throughout the day and into all the sessions. Imam Ajmal Masroor shared some amusing and engaging stories about his own experiences of charity and interaction with others. As with all of these events, the proof is in the feedback! One parent said “I just want to say a huge thank you for organising such a great event, maashAllah my daughter has not stopped talking about it and how much she enjoyed all the activities…keep up the good work!”. And what about the young people, what did they think of the day? “Today was brilliant!” said one 13 year old male participant and one of the female participants said “The workshops were really good and they got me out of my comfort zone”. The biggest complaint received was, “It’s not long enough – make it longer!!”. Young people who are signed up members of Young Muslims’were able to participate. Rabiha said: “The great thing is that we now have more than 50 new, enthusiastic, excited young people who want to take this forward and keep on doing other work together. They have some brilliant ideas and we really want to nurture and encourage that to come out”. Further programmes and similar training days are planned for the future. The Living Islam Festival has its greatest advert in you, too. Take pride in this wonderful event that has an impact on how the whole subject of Islamic living is thought about. Start sharing news and developments via Facebook and Twitter, and start speaking to friends and relatives about coming. Discounted prices just for you! For some time, the Shura of the Islamic Society of Britain has wanted to say “thank you” to its members by offering a small discount at events, and this is the first time we have offered such a discount at ‘the event of the year’. To qualify, you need to be paying your membership subscriptions by direct debit (not by a standing order). You can switch to direct debit online by going to www.isb.org.uk/switchover. To mark International Women’s Day 2014, the ISB are partnering with the Jewish Women in Leadership group to co-host an event in the prestigious Map Room at the Foreign Office in London, with Baroness Sayeda Warsi and other high profile guests. ISB members from around the country will join more than 100 women from Jewish and Muslim backgrounds coming together to hear inspirational speeches and learn about joint mentoring schemes with organisations such as Mosaic and how they can initiate Muslim and Jewish projects in their local areas.